So this is it. 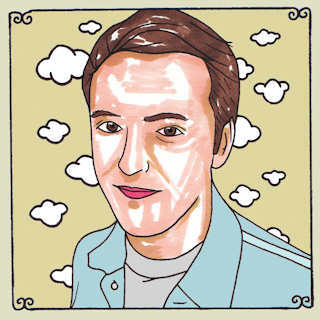 The final day of my Daytrotter a Day series. It's been fun, both discovering great new bands... and bashing awful ones. Hope you've enjoyed the journey. Harmsen's nasal voice takes away from his fairly standard pop/rock songs. "Strawberries & Milk" is the best one here because he splits vocal duties with a woman that sounds like Zooey Deschanel. He has a decent band, but I wouldn't bother. You don't have time to read a long review anyway. You only have a few more hours to get a free vinyl when you sign up for Daytrotter! It's Record Store Day! What Did You Get?